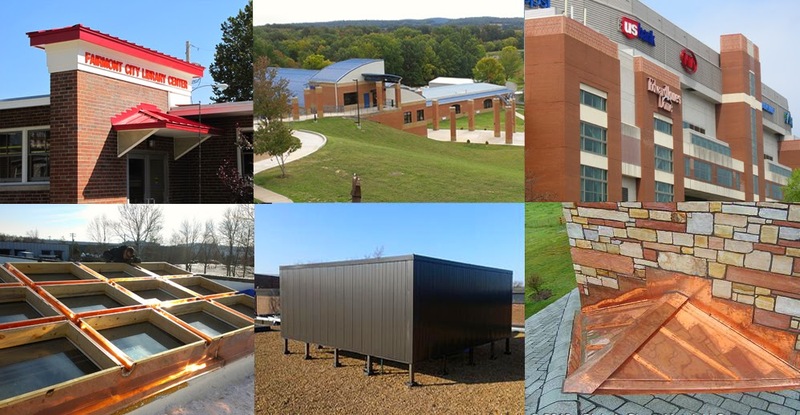 Blakely Sheet Metal, LLC is a commercial architectural sheet metal contractor and proud member of Sheet Metal Workers’ Local 36 Union, doing the majority of our work in St. Louis and the surrounding areas. We manufacture as well as install for many of the region's foremost roofing companies and general contractors. Our superior craftsmanship and strong commitment to excellence combine to ensure the unmatched results and service you deserve. Whatever your sheet metal project, from standing seam metal roofing to gutters and soffit, you'll find that we take pride in every job from start to finish. Contact us today and let us show you the superior service we offer. We're confident you will be happy doing business with us.